July 16, 2018 /3BL Media/ - City Year, an education organization committed to the success of students and schools, announced today its partnership with Aramark (NYSE: ARMK), a global leader in food, facilities and uniforms, to redesign City Year’s uniform to better reflect City Year AmeriCorps members' critical role as Student Success Coaches in high-need schools. With this new investment, Aramark is recognized as a National Partner and continues to serve as City Year’s official Apparel Partner, providing significant in-kind support valued at $1.2 million to outfit 3,000 AmeriCorps members with the new uniform, including City Year’s signature red jacket. Aramark’s mission of enriching and nourishing lives is connected to their philanthropic investments in various areas including education. 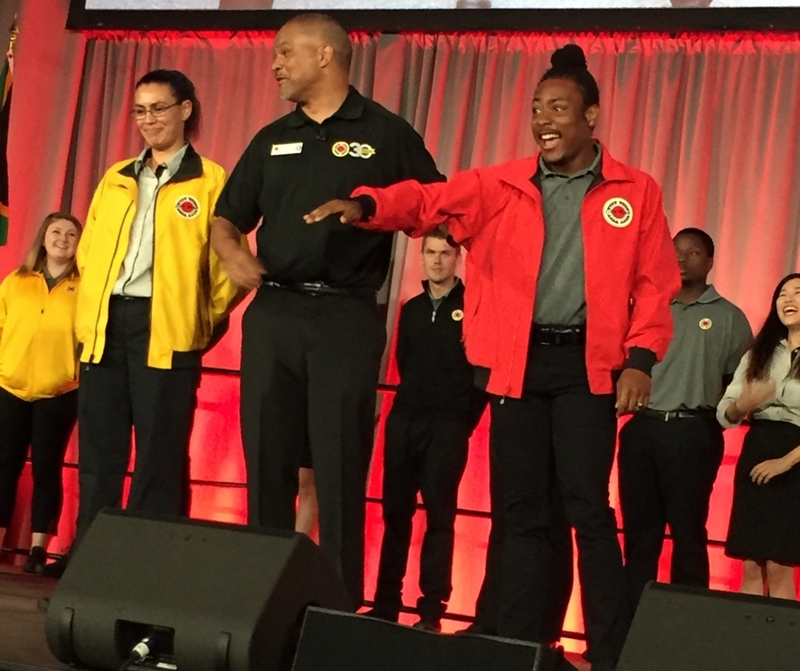 By partnering with City Year to redesign its uniform in time for City Year’s 30th anniversary, Aramark plays a pivotal role in the work of City Year AmeriCorps members, who serve full-time as tutors, mentors and role models in more than 300 high-need schools across the country. City Year’s highly trained AmeriCorps members will wear their new uniform as they serve more than 200,000 students across the country. According to research by Policy Studies Associates, schools partnering with City Year—as compared with similar schools without City Year—were up to two-to-three times more likely to improve on math and English assessments. Aramark has been an important partner for City Year for the past 11 years, serving as City Year’s official uniform supplier, providing in-kind advertising support on college campuses for AmeriCorps members and sponsoring City Year locations in Los Angeles and Philadelphia. 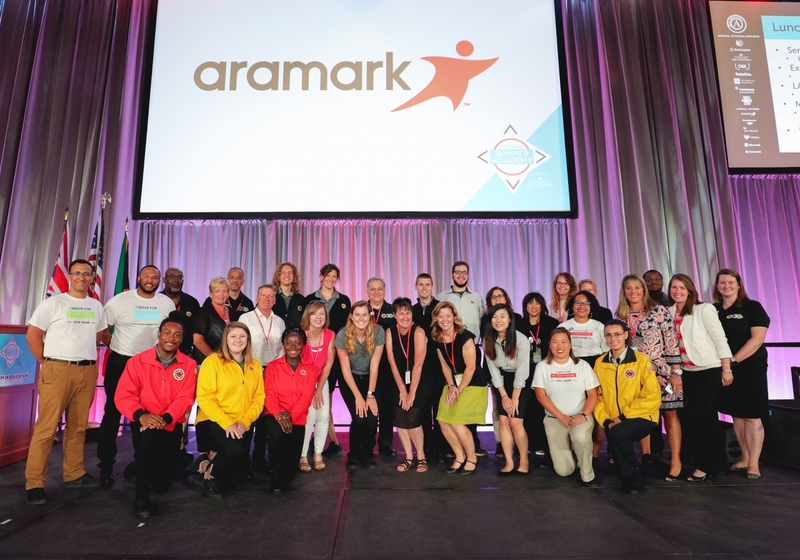 Aramark also partners with City Year’s Care Force, which engages corporations and their employees in high-impact volunteer events to help improve schools and communities. During last year’s Aramark Building Community Day, City Year staff and corps served side-by-side with 463 Aramark employees at signature site locations to serve more than 2,778 hours impacting 17,300 community members. Since 2008, Aramark employees and City Year Care Force have partnered at nearly 100 projects to revitalize and make a meaningful impact in dozens of local communities around the world. City Year helps students and schools succeed. Fueled by national service, City Year partners with public schools in 28 urban, high-need communities across the U.S. and through international affiliates in the U.K. and South Africa. Diverse teams of City Year AmeriCorps members provide research-based student, classroom and school-wide supports to help students stay in school and on track to graduate from high school, ready for college and career success. A 2015 study shows that schools that partner with City Year were up to two-to-three times more likely to improve on math and English assessments. A proud member of the AmeriCorps national service network, City Year is supported by the Corporation for National and Community Service, local school districts, and private philanthropy from corporations, foundations and individuals. Learn more at www.cityyear.org, City Year’s Facebook page, on Twitter, and LinkedIn.